The search to find the best sewing machine for beginners can be overwhelming. There are so many brands and models to chose from! Therefore, I’ve compiled a short list of sewing machines for beginners that come in under the $200USD range on Amazon.com. 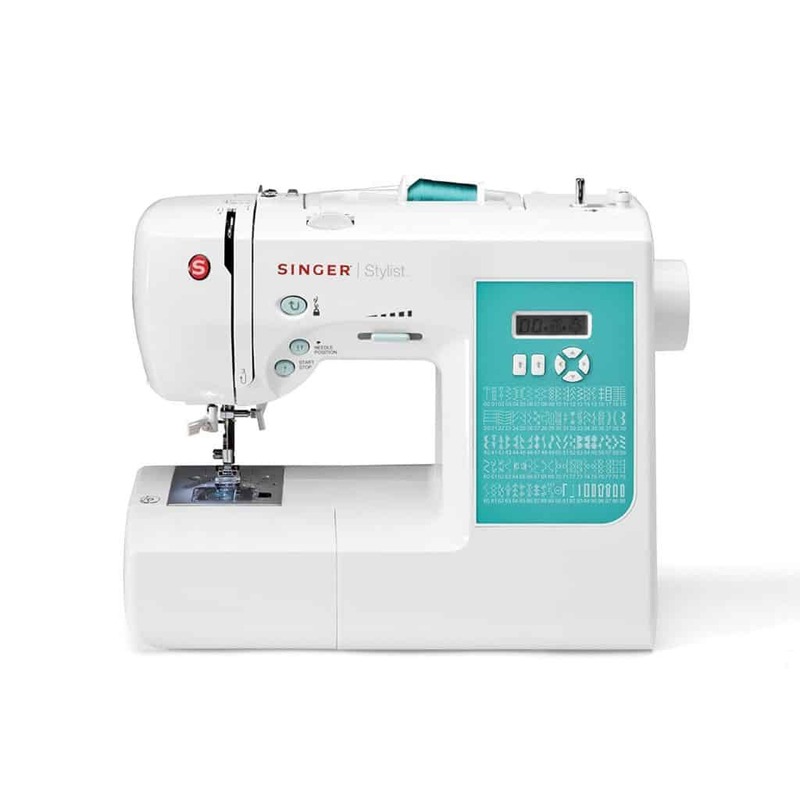 I’ve chosen to stick to the under $200 range as I understand that you might not really be sure about the features and accessories you might need from a sewing machine. 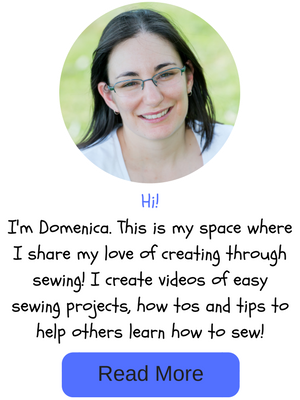 You might not know if sewing is your thing and if you will enjoy it. You don’t really want to go spending over $400 on a sewing machine that might end up sitting on a shelf or in a cupboard (hopefully, that won’t be the case). I would recommend going to your local sewing machine dealer first to get a feel for different sewing machines and ‘test drive’ them. 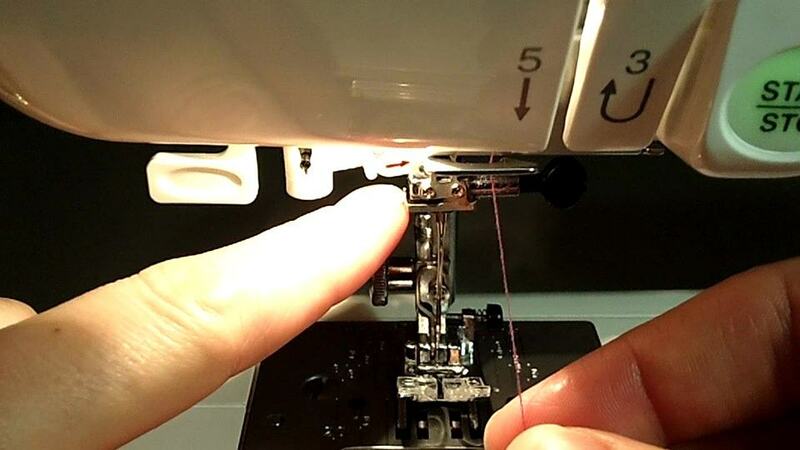 It’s best to purchase from your local sewing machine dealer, but that’s not always possible and many of you prefer to do your research and purchasing online. I will include a link to the sewing machines I’m talking about. This will be an affiliate link direct to Amazon.com. This means if you make a purchase through my link I will receive a small commission for it. Don’t feel like you need to purchase through my link, just know that I appreciate it if you do. Most of all, I hope you find value from my research and it helps you choose the best sewing machine for beginnings, like yourself or someone you are purchasing for. 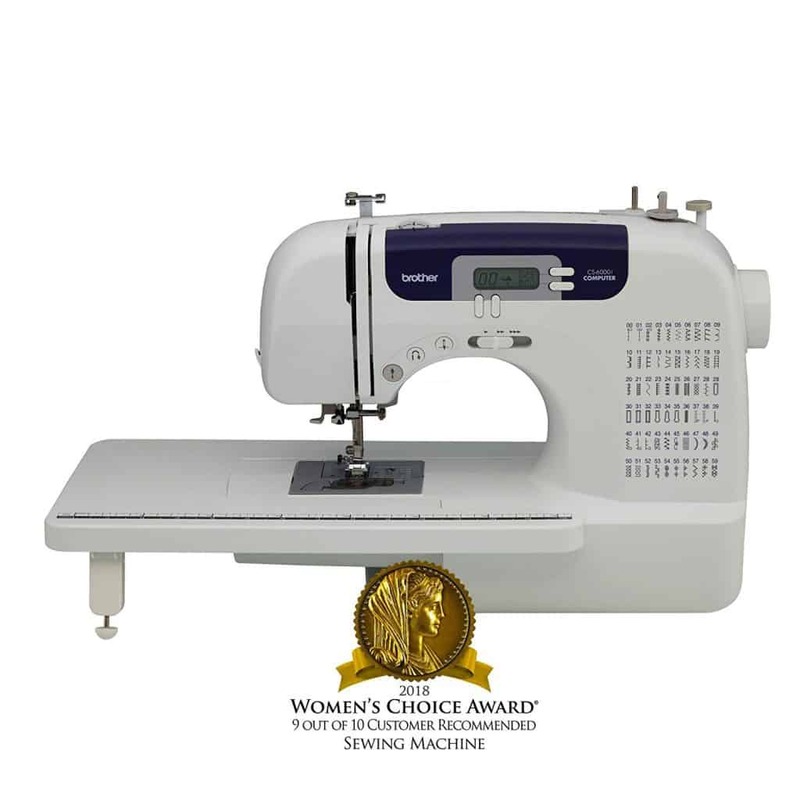 This sewing machine comes in under the $100 mark can range anything from $85-$99.This sewing is an Amazon’s Choice and it also won a Women’s Choice Award in 2018. Pretty impressive. I feel you get good value for money with this sewing machine as it is packed with features and added accessories. This is a mechanical sewing machine, but this may mean it’s easier to learn how to use it, as you won’t be distracted by a screen and buttons to press. Just a simple dial to turn for this one. I’m very comfortable recommending Brother sewing machines as my main sewing machine is a Brother and it’s amazing. 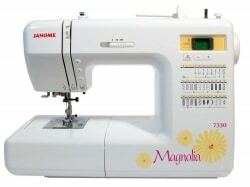 I also have a Janome sewing machine and love that one too! I may also have another sewing machine…..one was sold recently, though. It was my first sewing machine I had even bought for myself and it was a Singer. I spend around $200 for it at the time and it served me very well. Anyway, check out the Brother XM2701 and see what you think. Read the reviews, good and bad, so you know what to expect from it. The majority of the sewing machine reviews are 4-5 stars for this machine. You can find a more in depth review of this machine right here. The Brother CS6000i comes packed full of features and accessories for its price range. At the time of writing, this machine was selling for below $160. If you know you’re going to be getting into a decent amount of sewing then this machine might be the machine to start that sewing journey with. This sewing machine is computerized and it also comes with a wide extension table. This would be great if you are thinking of trying some quilting projects, especially since this machine comes with a walking foot (my most favorite sewing foot ever!!!!) and a spring action quilting foot. I had to spend $70 on these two feet alone when I started doing some quilting projects with my Singer sewing machine. 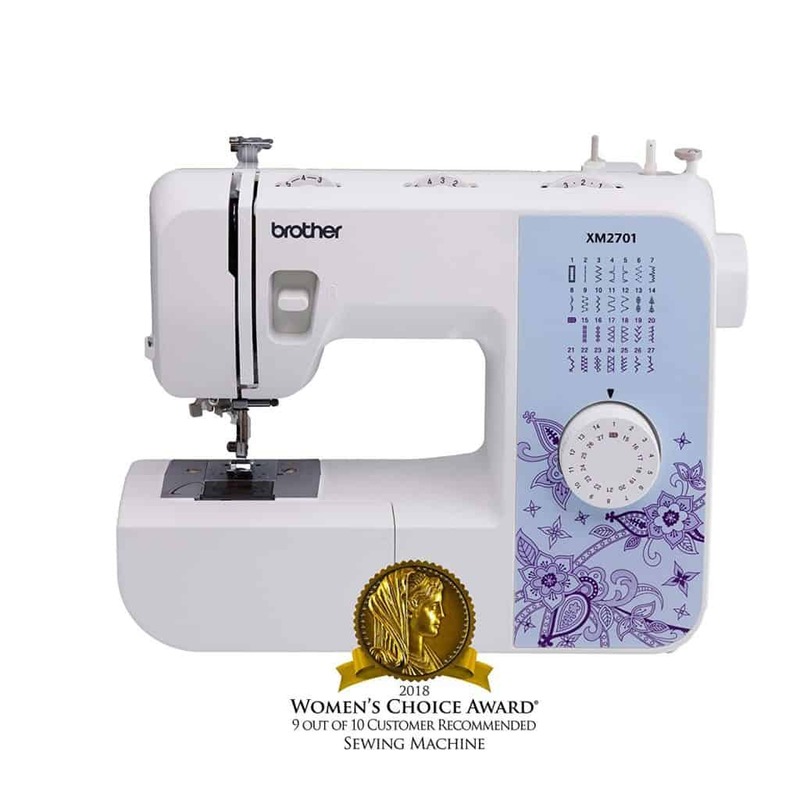 This machine is also an Amazon’s Choice and has won a Women’s Choice Award for 2018. The automatic needle threaded will be one of your favorite features if your eye sight is a bad as mine. If my price range was between $100-$200 this machine would be my first pick for best sewing machine for beginners. 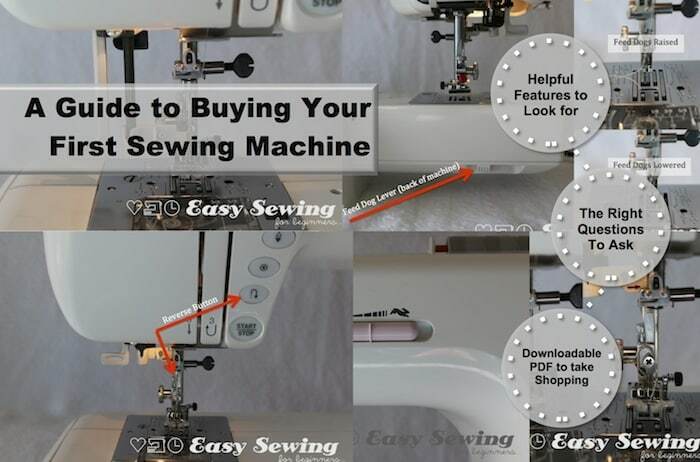 The free arm sewing machine feature is something that comes with most sewing machines and it can be very useful when hemming pants or other items with small cuff sizes. Again, read the reviews on Amazon for this machine. This is quite a popular sewing machine and I think it would make an excellent sewing machine for beginners. You can check the sewing machine out here. My next recommendation is the Singer 7258. This machine sells for around the $180 mark. It is computerized like the Brother CS6000i. However it doesn’t have the same amount of included accessories. It’s up there for helpful features for a beginning sewing machine though. This machine is very similar to the one I started with. It’s a shame it doesn’t come with a walking foot though. You can check out this sewing machine on Amazon. Now this recommendation is more for if you know you want to sew heavy and thinker fabrics like denim or leather. 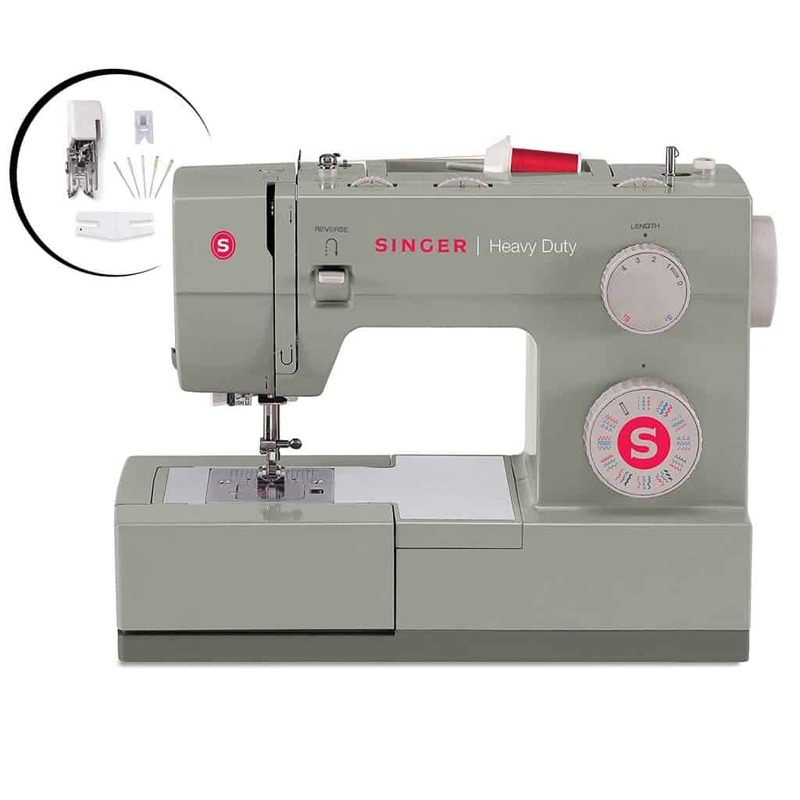 The Singer Heavy Duty 4452 would make a good denim or leather sewing machine because of the heavy duty status. I’ve watched various Youtube videos of this machine sewing and it does a great job with it. You could also sew other light weight fabrics with no problems as well. This machine includes an automatic needle threader and has a top loading bobbin. You don’t get as many accessories with this machine as you do with the others. 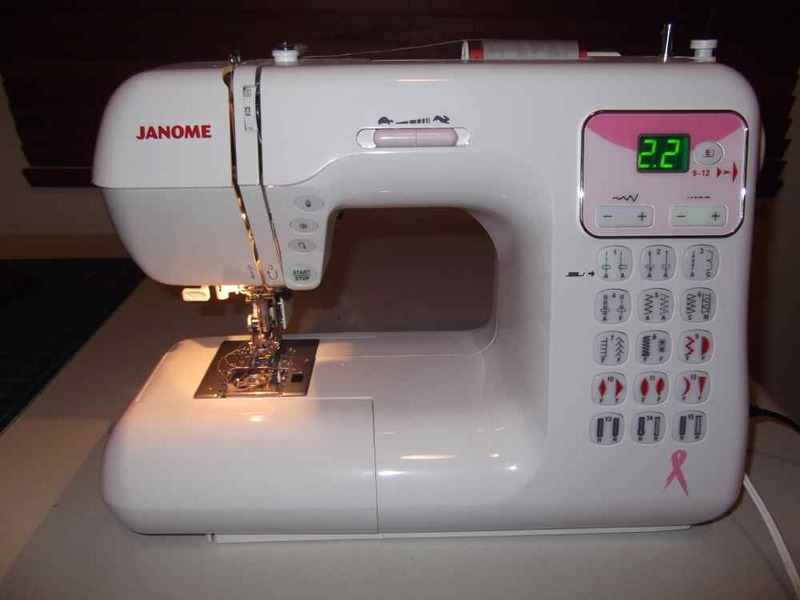 If you know you wont be sewing leather or other thicker materials then you would want to lean more towards one of the other recommended sewing machines in this list as you would be getting better value for money. You can find this sewing machine here. You can also find similar models to this machine, but with less accessories and features here. 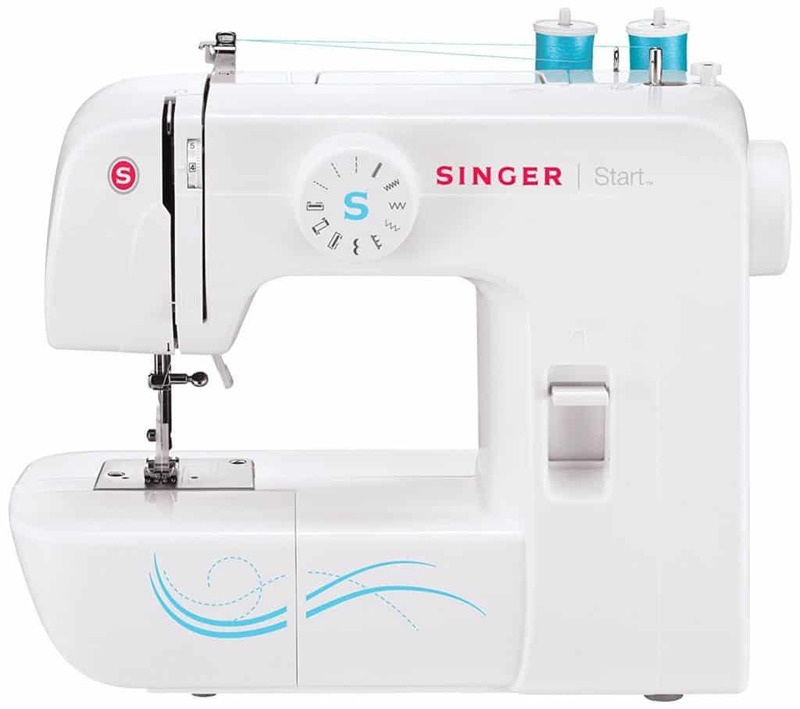 The Singer Start 1304 is my fifth recommendation for beginning sewers. This machine is a very, very basic machine which you could pick up for around $77. It is a front loading bobbin machine, which is not my favorite type of bobbin system as you can’t easily see how much thread you have left, but it would work just fine for a beginner. I learnt to sew with the type of bobbin system at school and I didn’t have any issues with the front loading bobbins then, I’m just a bit fussier now! If you can spare some extra dollars I would try and go for one of the Brother Sewing machines, however this one was worth mentioning for the price. You can check it out here. In conclusion I hope this has helped narrow down the sewing machines you will be choosing from, especially if you are looking to purchase online. However If you do decide to go to your local sewing machine dealer you might like to take in my checklist of things to ask when shopping for a new sewing machine. This will help you to know what types of questions to ask when choosing that perfect sewing machine for beginners and most importantly to be a general guide along the way.